Six stage purification system (5 filters + 1 ionizer) that has the ability to remove both large and ultra small particles from the air. Wifi connectivity allows users to control the unit from their phone and monitor air quality wirelessly. The design of the Rabbit air purifier is both functionally sophistied and aesthetically pleasing. With 6 stages of purification (5 filters + 1 ionizer) working together to clean the air, the Rabbit Air MinusA2 has a lot going on. For this review we’ll be focusing on the SPA-780N model. The first thing you see on the Rabbit air purifier is the front panel. On this unit, users have the ability to choose a custom front panel from the Rabbit Air artist series. The front panel design featured in our pictures is the Cherry Blossom. There are a total of nine different front panel designs that users can select, giving this air purifier a more stylish look. Do be aware, Rabbit Air does remove / replace designs due to popularity. If a customized panel isn’t what you’re looking for, the Rabbit Air also offers their basic design, which is an all white front panel. As you move across the air purifier, there are a number of different buttons that are used to control the unit. These buttons are all labeled well and easy-to-undertand from a user’s perspective, in my opinion. Controlling the Rabbit air purifier is simple with the interface they have designed. Another cool design aspect about the Rabbit air purifier is its ability to be mounted on your wall. With a slender profile, the purifier does not look overwhelmingly large when mounted on your wall. Additionally, if you decide to choose a customized panel, it may even look like a piece of art while mounted to your wall. With regard to the size and dimensions of the Rabit air purifier, it is an average sized unit. Although it may look large, the aesthetics of it help mae it feel less like a purifier and more like a decor item around your home. The Rabbit Air MinusA2 purifier comes with a few different extra parts and accessories. The main ones included are the bracket for wall mounting and the remote control. The remote gives users the ability to control the unit without having to get up and manually turn it on. That said, the remote does need to be close to the unit when being used, whereas the smartphone app does not necessarily need to be close. The Rabbit air purifier has no shortage of features. This unit is extremely smart and has the ability to do a lot of things that lower end air purifiers are not able to do. The most notable feature about the Rabbit Air Minus A2 is its six stage purification system. This system is one of the mosty advanced filtration systems we have seen to date. Pre-filter – traps and reduces large sized allergens, dust, and particles. Medium filter – Traps and reduces airborne particles larger than 1 micron in size (pollen, mold, pet dander, etc.). HEPA filter – Traps airborne particles down to 0.3 microns in size and reduces allergens to prolong filter life. Customized filter – Four options; germ defense, toxin absorber, pet allergy, or odor remover. You may choose the custom filter best for your home. Carbon filter – Reeduces chemicals and household odors. Negative ion generator – Creates negative ions, which then latch onto airborne particles and weigh them down so they can be cleaned up by a vacuum cleaner. See our vacuum cleaner review series here. These 6 purification levels work together to systematically remove smaller and smaller particulates. Incredibly clean and fresh smelling air. Another cool feature about the Rabbit Air is the option of selecting a customized filter. Rabbit Air gives users four options to choose from, which is where the user can make an educated decision based on their current living environment and the filter would be the most appropriate. Germ defense – Traps and reduces bacteria, mold, and particles that carry viruses. Good option for homes with children and elderly people, due to weaker immune systems. Toxin absorber -Traps and reduces volatile organic compounds (VOCs). Fine choice for recently renovated homes and new offices. Pet allergy – Traps and reduces pet dander and pet allergens. Odor remover – Removes odors from pets, cooking, mildew, cigarettes, and much more. The user interface is intuitive and simple, but still offers lots of control and monitoring mechanisms. Users have tons of options available directly on the unit. With all of these options are a handful of inidcators, which are also extremely beneficial. These indicators help users realize when a filter needs to be changed, when negative ions are being created, when you are in auto, pollen mode, and more. The Rabbit Air MinusA2 has the ability to connect to wifi, which then allows users to control the unit from their smartphone through the Rabbit Air app. Within the app, users have control over their air purifier and can monitor their air quality. Once the app is opened and the unit is turned on, lot of extra features become available. For example, you are able to see the air quality improving as the unit runs, the fan speed, you can turn on specific modes (auto & pollen), control the mood light, create negative ions, and manage the filter life. With the ability to see and control all of these features, users are able to improve their air quality without ever having to get up and manually adjust the air purifier. The overall peformance of the Rabbit air purifier was truly exceptional. Air quality in our home testing environment improved dramatically after adding the Rabbit Air. Our testing consisted of setting up the Rabbit in a medium-sized bedroom in my home, taking an initial baseline measurement of the room’s air quality, running the Rabbit for 1 hour, and taking a new measurement in order to compare the difference in overall air quality. In order to take these measurements we used the Temtop LKC-1000S+ professional air quality detector. By using this device, we were able to get precise measurements both before and after using the Rabbit Air purifier. The air quality after 1 hour of using the Rabbit Air MinusA2 was drastically better. Setting up and using the Rabbit Air MinusA2 is simple. Once you have unboxed everything, just choose a location in your home that best suits the Rabbit Air’s performance, turn it on, and watch the system provide cleaner air. Users do have to set up the app if they wish to control the unit from their phone, but it’s a quick setup. After downloading the app, Rabbit Air walks the user through the entire setup, which takes about 5 minutes from beginning to end. After you have selected the proper location and set up the purifier, using it is easy. It may seem like there are a lot of buttons and indicators on the Rabbit Air purifier, but in all reality, the only thing you need to do is press the on button and let the system take control of the rest. Now, if you are looking to place it in a more specific mode (e.g. auto or pollen mode), you can press the appropriate button on the unit itself, or within the Rabbit Air app. Regardless of how you decide to control the system (app, buttons, or remote control), everything is labeled well and made easy to understand when using the Rabbit Air purifier. Maintenance is a big factor when it comes to virtually any air purifier. With so many levels of filtration, users have to pay close attention to the results of their purifier in order to know whether or not it is time to re-order a new set of filters. That being said, the Rabbit Air purifier is able to let you know when the filters need to be changed. Both the app and the user interface on the purifier itself will tell the user when it is time to change the filters. 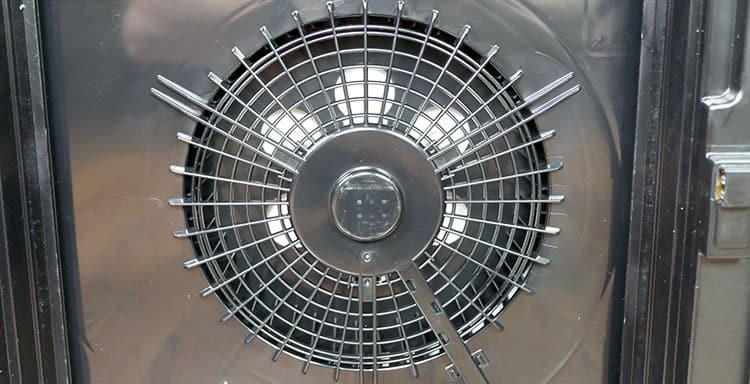 Maintaining this device is not difficult, provided that you watch for when the filters need to be replaced and get new ones installed (otherwise, it will reduce performance and could decrease life of the unit). According to RabbitAir.com, if you were to use this air purifier 24 hours a day, 7 days a week, then it would cost about $85 / year for replacement filters. These filters are also designed to last 2 years if the filters are used 12 hours a day, which means the maintenance of the unit is not something you have to glace at every day. How loud is the Rabbit Air? The Rabbit Air has multiple fan speeds, which changes the level at which the Rabbit produces noise. At the lowest fan setting, the Rabbit reaches a level of 25.6 dB and at the highest fan speed the decibel level sits closer to 51.3 dB. Is the Rabbit Air Purifier a good value? In our view, yes, the Rabbit Air MinusA2 is an exceptional value. The raw air cleaning performance of the MinusA2 is in a word, incredible. Yes, the price is high, but you go so much for what you pay for. 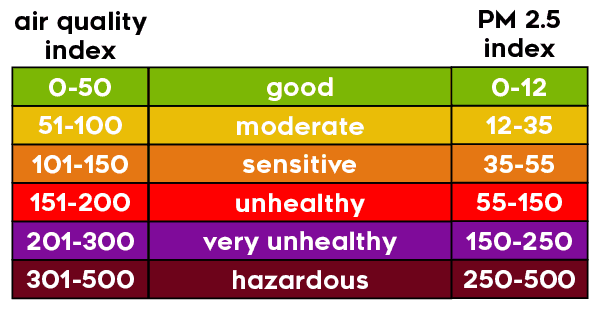 For my money, if improving the air’s quality in my home means anyone in my family gets sick at least 1 less time per year, that’s hugely worth it to me. $85 / year for the replacement filters really isn’t too bad either, especially considering the total level of performance. Overall, I think this air purifier is worth every penny. Room Coverage ~815 sq. ft.
Who Should Buy the Rabbit Air Purifier? The Rabbit Air purifier could be a great addition to virtually any home. If you breath air, you probably will benefit from it. Want incredible performance: Before testing, I really expected this product to do well (just given the price alone). However, it really exceeded all of my expectations. Performance is absolutely incredible. The MinusA2 reduced air-born particulates in the room by 98.5% (compared to our baseline) in just 1 hour. Want an advanced air purifier: The MinusA2 comes with 1 of 4 custom filters (germ defense, pet allergies, toxin absorber, or odor remover, you get to pick). This is a great benefit if you have a specific need for improving a air quality. Want a customized aesthetic: Most air purifiers just look like a sort of blank box or tower. The Rabbit Air MinusA2 offers 9 different customizable front panels (in addition or black and white), adding a pop of design and color to an otherwise boring appliance. Want an easy to use air purifier: Intutive buttons on the unit, basic remote control, and smartphone app control…the MinusA2 can be controlled a number of ways. Each is straight forward and easy to use. Or, you can simply set it to auto and set it and forget it. For more information or to buy the Rabbit Air Minus A2 click here. Why did the Rabbit Air score the way it did? Design – Aesthetically pleasing with 11 differnt front panel design, but also functional, with 6 stages of purification. Performance – Exceptionally good performance. Dramatically (and quickly) reduced number of particles and improved air quality. Quality – Seems well made, but we will definitely monitor and update with our long term test. Usability – Smart phone app control, remote control, auto control, or manual, this unit has a ton of options. Each are intutive and easy to use. Value – It’s not cheap, that’s for sure, but it still offers an incredible level of value for what you get. The Rabbit Air MinusA2 combines 6 individual filters (including an ionizer) to remove floating particulates and other allergens from the air. While the unit is expensive, performance is incredible. The MinusA2 dominated our air quality tests, dramatically reducing the number of particles in the air. When you combine a sharp aesthetic and an easy to use interface (via buttons, remote, or smart phone) it really is the whole package.